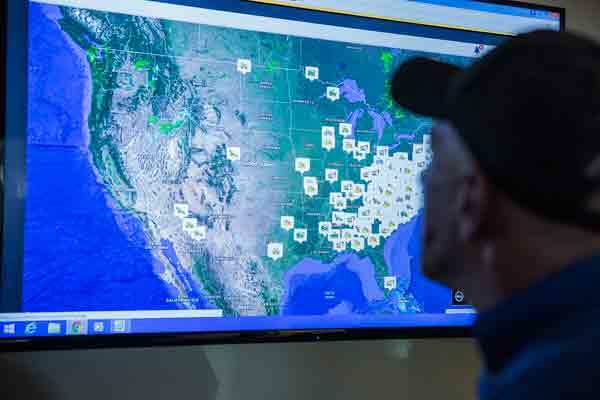 Since first connecting machines through telematics in 2000, John Deere has continually focused on leveraging machine data to improve customers’ uptime and their bottom lines. This focus sharpened in 2009 when the company took its first pioneering steps into active machine monitoring with factory-based collection, analysis, and reporting to product teams and key customers. The promise of turning data into valuable insights was being realized. In 2011, John Deere exclusively offered customers remote diagnostics and programming services – and in the six years since, John Deere dealers have connected to, diagnosed, repaired, and reprogrammed over 150,000 machines – often without ever visiting the equipment in the field. By 2012, tech-savvy John Deere dealers and internal John Deere customer support representatives were piloting ambitious machine monitoring efforts on behalf of uptime-conscious customers, and these best practices helped the adoption of the machine monitoring strategy across the John Deere network. At CONEXPO-CON/AGG 2017, John Deere will build on this machine monitoring legacy with a new capability announcement and a fully-featured Machine Monitoring Center at the heart of their display representing the most significant commitment to uptime and machine health the company and its dealers have ever made. To learn more, visit John Deere at CONEXPO-CON/AGG 2017, March 7 – 11, 2017 at booth N12525.